H-1B Visa is all set to start from 2nd of April this year. Here we explain about the recent changes which has been done by the government which you need to known to get one. (beginning October 1, 2018). H-1B visas among Indian IT professionals, will be accepted starting April 2. According to US Citizenship and Immigration Services (USCIS) website, the government will begin accepting H-1B petitions that are subject to the FY 2019 cap from April 2, 2018. Companies/individuals can file an H-1B petition no more than six months before the employment start date requested for the beneficiary. H-1B filing season comes after the Donald Trump administration late last month announced new rules for H-1B visa holders. The new rules come via a 7-page policy memorandum published by USCIS. Here are the eight big recent changes announced regarding H-1B visa filing and process. 3. 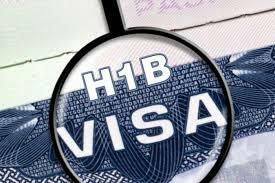 Ends practice of granting H-1B visa for minimum 3 years. visas are granted for three years and an extension for another three years is almost given. US Citizenship & Immigration Services (USCIS) said, in the new guidance issued, that its officers can seek detailed documentation and more evidence from companies to establish that they have specific assignments in a specialty occupation for the H-1B beneficiary, and that they have these assignments for the entire time requested on the petition. 4. Makes the transition from H-1B to a Green Card next to impossible. Shorter duration visas will make it nearly impossible for H-1B visa users to get a Green card. 5. Tough to join the dots between qualification and work. According to companies Times of India spoke to, it will be difficult for immigration officers to join the dots between qualification and work, leaving the granting of visa to their discretion. 6. Increases the burden of paper work. There will be more paperwork as detailed documentation will be required on the nature of assignment at the client site. 7. Employees on H-1B visas cannot be moved between projects and companies. Under the new policy announced by Trump administration, companies have to prove that the employees that they send to the US on H-1B visas have “specific and no speculative qualifying assignments in a speciality occupation” for the entire visa period. This means that employees coming to the US on H-1B visa cannot be moved between projects and companies once they are in the country. A Bengaluru-based staffing expert told Economic Times that when third-party companies file petitions for H-1B visas to deploy professionals, they eventually employ people on multiple worksites and the fresh policies will put in stringent paperwork to do that. 8. Companies need to provide additional evidence like nature of work & more. The new policy suggests that companies may have to share additional evidence, such as more details in the work orders or in letters from the end client regarding the beneficiaries’ work.